They're going back to the roots! We take a look at the demo of Mega Man 11 just before tonight's live stream of Mega Man Legacy Collection! Let's forget about Mighty No. 9, this is the next true Mega Man game. The level design, gameplay and soundtrack all reminds me of old Mega Man games. This is what we needed! I'm happy to announce that the Mega Man franchise is not dead after all! 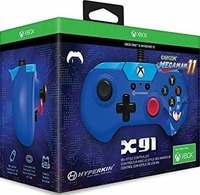 Mega Man 11[a] is an upcoming action-platform video game developed by Capcom, and is the eleventh main entry in the original Mega Man series. It brings back several features such as voice acting and a 2.5D graphic style from previous games throughout the Mega Man franchise. It is set to be released worldwide for Microsoft Windows, Nintendo Switch, PlayStation 4, and Xbox One on October 2, 2018 and in Japan on October 4, 2018. 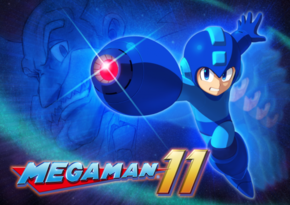 Mega Man 11 retains the gameplay style of the classic Mega Man series of games, and features a 2.5D graphics style with 3D polygonal characters and 2D environments. Players control Mega Man as he attempts to stop Dr. Wily from using a Double Gear system Dr. Light invented based on research he conducted many years before, when he was in college. Players travel through eight linear stages, which can be chosen in any way the player sees fit, before battling against one of Doctor Wily's eight Robot Masters, including Block Man, Fuse Man, Blast Man, Tundra Man, Acid Man, Torch Man, Impact Man and Bounce Man. Mega Man can perform classic moves such as the chargeable Mega Buster and slide, as well as obtain new weapons by defeating Robot Master bosses at the end of each level. Unique to this game is the Double Gear system, which grants Mega Man two additional abilities; the Speed Gear and Power Gear. The Speed Gear lets Mega Man slow down time, allowing him to dodge attacks, while the Power Gear increases the attack power of Mega Man's weaponry; both of these will overheat if Mega Man uses them too much. When Mega Man's health is critically low, he can activate both gears to perform a powerful charge shot which can only be used once and leaves Mega Man weakened afterwards. The game will have additional features including Time Trials, Missions, Global Leaderboards, a concept art gallery and more. The game will have four difficulty settings: Newcomer, Casual, Normal, and Superhero.